Finding the perfect breakfast spot is not an easy task. You have to take into account how the food is, how busy the place gets, whether it’s worth waiting in line for and whether my kids can scream and not bother a soul. For the Maxons, the Harvest Cafe in Simsbury is that perfect place. The food is delicious without being overly complex. The menu is dynamic, but not confusing and suits the most demanding pallet, or that of a 6-year-old child. Bob Maxon's perfect breakfast spot is the Harvest Cafe in Simsbury. Most of the customers have their favorites and will stray only on occasion. The coffee is piping hot and your cup never finds itself empty. The cafe is always bustling, right through the lunch hour. The busiest times seem to coincide with Sunday services letting out and wily veterans know when not to even try to squeeze in. The staff has a great knack for moving quickly, serving fast and scooting from table to table without rushing you as you chitchat with friends or peruse the paper. Any popular, successful breakfast/lunch spot has to be able to handle kids. 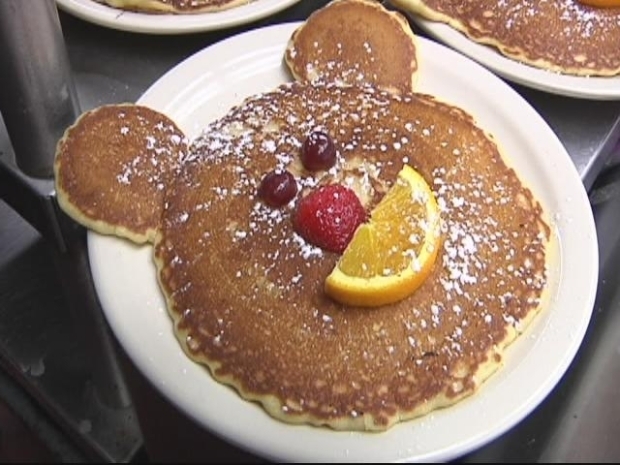 "Harvest," as the locals call it, embraces the young ones with teddy bear pancakes, a bulletin board full of crayon drawings and the occasional outburst of "Happy Birthday" being sung by Scott H, the manager. A special birthday hat, worn by the honoree, caps off a perfect family visit. Get right to the Harvest Cafe, don't pass go, don't collect the $200. Just check the times for the masses at St. Mary's Church! What''s your favorite restaurant? Comment on our Facebook page.